The southern region has focused on growing five key fruit trees on hundreds of thousands of hectares, said an agricultural official. 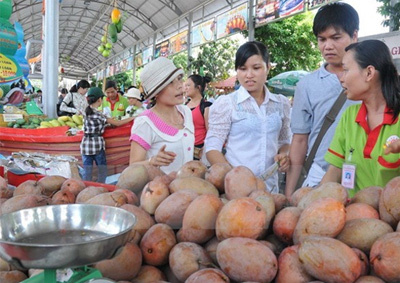 The region has grown dragon fruit trees on 37,000 hectares, mangoes on 22,700 hectares, durian on 10,500 hectares, longan on 25,600 hectares and rambutan on 7,800 hectares, according to Pham Van Du, Deputy Director of the Department of Cultivation under the Ministry of Agriculture and Rural Development. Over the past year fruit exports have increased, which has encouraged domestic fruit production, Du said. In the first 10 months this year, fruit exports earned 1.5 million USD, up 30 percent on the year. The improved rural infrastructure has also facilitated production, transport and consumption, while technology transfers and the application of international standards have helped improve product quality and expand markets. 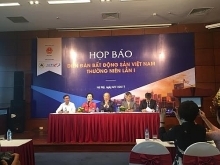 According to Nguyen Van Hoa, Director of the Southern Fruit Research Institute in Vietnam, advanced technology has helped reduce production costs and technical assistance has helped improve productivity. The connections between stakeholders such as authorities, scientists, enterprises and farmers have also boosted production efficiency. Cooperatives, or groups of farmers, have also been established in a bid to enhance production capability and competitiveness, thus raising local farmers’ incomes. Fruit and vegetable exports are likely to achieve the Government's target of 1.65 billion USD this year, according to the Ministry of Industry and Trade. More and more countries have opened their doors to Vietnamese fruits and vegetables, including selective markets like the US, Australia, the EU and Japan. Earnings from fruit and vegetable exports have increased in recent years, from 460 million USD in 2010 to 1.47 billion USD last year, according to the Vietnam Fruit and Vegetable Association (Vinafruit)./.